To continue our series on Giving at RealSelf, and take this opportunity to also do another interview with a badass woman in leadership, I was thrilled to sit down with Jessica Norouzi to learn more about her work and the impact of the foundation on our community here in Seattle. 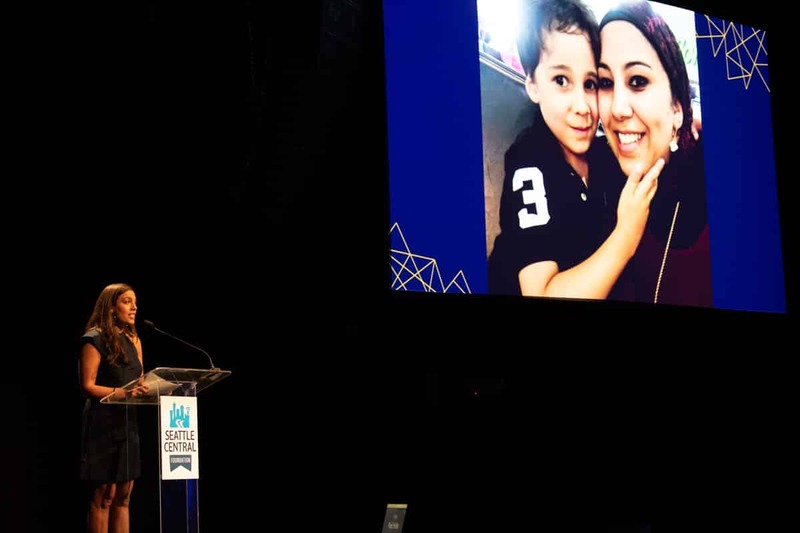 Jessica is the Executive Director at the Seattle Central Foundation (SCF), whose mission is to advance the mission, work and impact of Seattle Central College and work to keep life changing education within reach for all who seek it. What do corporate partnerships mean to SCF? Jessica Norouzi (JN): Seattle Central provides a unique talent pool for our city and the diverse needs of its employers. Students come to Seattle Central excited to learn, and motivated to achieve their aspirations through education. We attract students from different backgrounds and in various stages of their careers, with a broad range of goals. We can not help them achieve their goals without the involvement of our corporate and business partners. We rely on our partners to advise us on how to provide relevant and responsive training. When these students finish their programs, companies already connected to our students have access to well-trained graduates who are able to meet employers’ needs. LS: What are the best ways for companies to get involved? JN: Since I started at Seattle Central, I have seen how our partners fundamentally influence how we serve our students. Generally, companies connect employees to volunteer opportunities at the college. As examples, volunteers devote time to review scholarship applications, they serve as mentors, advise on curricula and participate on committees. We are constantly looking for creative ways to match the interest and expertise of our partner companies with the needs of our students. Our goal is also to be a hub for high-quality professional development and training. We offer both credit, and non-credit professional development classes that run the gamut from excel basics, to digital marketing, team management, and much more. Companies can turn to Seattle Central as a place to provide quality professional development opportunities for their employees. LS: I know our team at RealSelf has really enjoyed getting involved with things like scholarship review, and the Believe Gala, but do those things really have an impact on your work? RealSelf employees always enjoy hosting a table at the annual Believe Gala. JN: This year, we had over 1,000 applications for our annual scholarship cycle. Each completed application must be reviewed three times by volunteer reviewers. Without these volunteers, our ability to award over $700,000 in funding to students would not be possible. Our work also relies on supporters who attend our gala and help us raise these critical dollars. 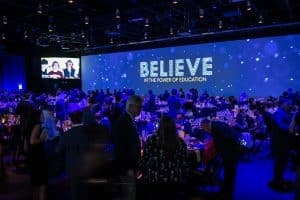 The Seattle Central Believe Gala is our primary fundraising effort of the year, and the one opportunity for us to bring our community partners together to showcase their support for our students. This year, we raised over a half a million dollars towards our efforts to eliminate financial barriers for our students. LS: What does Seattle Central mean to this city? JN: Seattle Central means something different everyone. To me, it is a place of inspiration, diversity, activism and hope. I came to Seattle Central because of the impact the institution has in breaking down barriers for everyone in our city. We open our doors to all seeking opportunity, and we meet them wherever they are at in their journey. Our students are not only diverse; they are passionate, talented and hungry for opportunity. The opportunity Seattle Central provides elevates our entire city and makes Seattle a thriving, multi-faceted community. LS: Awesome, totally agree. Finally, any exciting news to share out of SCF? JN: This is very exciting time to be involved with Seattle Central. For the first time in history, we are collaborating with the City of Seattle and the Seattle Public Schools to offer free college to any Seattle High School graduate. This sends a message to our entire city that higher education is a right, not a privilege. This initiative helps expand the continuum of support we have built at Seattle Central through our Central Commitment funding model, which aims to eliminate financial barriers for our students from the moment they enroll, through graduation day and beyond. I am also excited about the innovative partnership models happening in our workforce programs – including our new Health Education Center that houses educational classes alongside healthcare providers and non-profits. This unique co-working building is serving as a model for innovations in other workforce programs, including our IT programs. LS: Wow! That’s incredibly exciting. Thank you for your commitment to making this city such an inclusive place to learn and grow – we are thrilled to continue to partner with you and Seattle Central as your work evolves. For more on the Seattle Central Foundation, you can visit their website here.